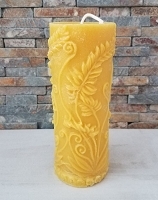 We make the following Beeswax Candles. 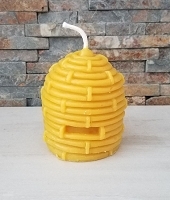 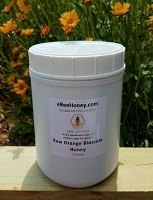 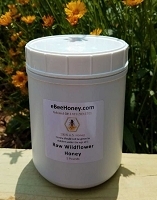 We use 100% pure beeswax (no other wax added) and a cotton wick. 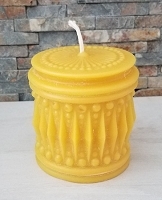 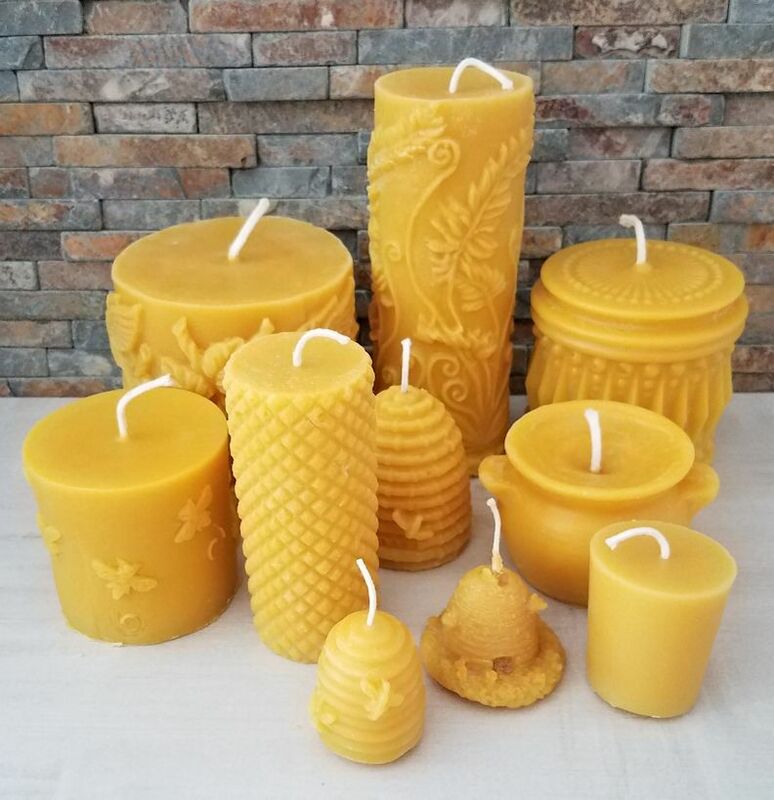 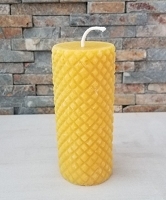 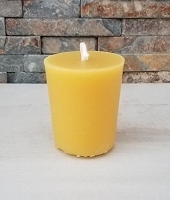 Be careful when buying so called beeswax candles as by law folks can state they are pure beeswax candles yet they are allowed to add up to 45% of other types of wax. 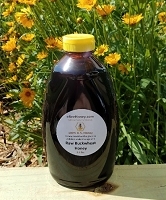 Crazy as it is! 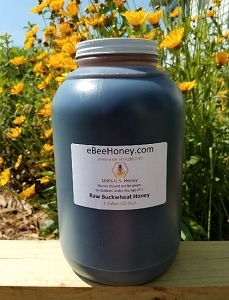 We only use 100% beeswax cappings from beehives. 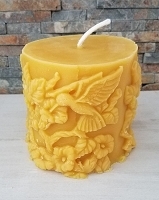 When pure beeswax candles burn there will not be any type of black plume given off as beeswax candles burn clean! 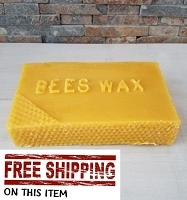 Also beeswax is a bit tacky feeling, never any type of greasy feeling. 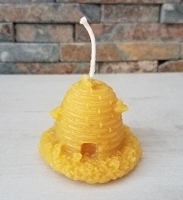 We make our beeswax candles by heating the beeswax to make it liquid and then pouring the beeswax through a fine screen and mesh cloths. 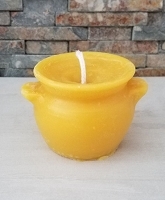 We then pour it into molds. 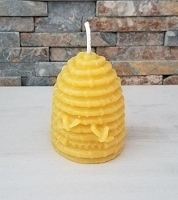 This is yellow beeswax direct from the hive. 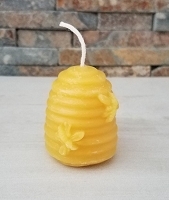 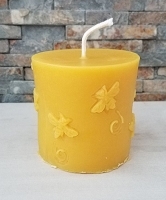 Beeswax Candles make great gifts or favors to give out at any event and they smell fabulous.